It is celebrated in all the Sherpaa settlements in the month of July. 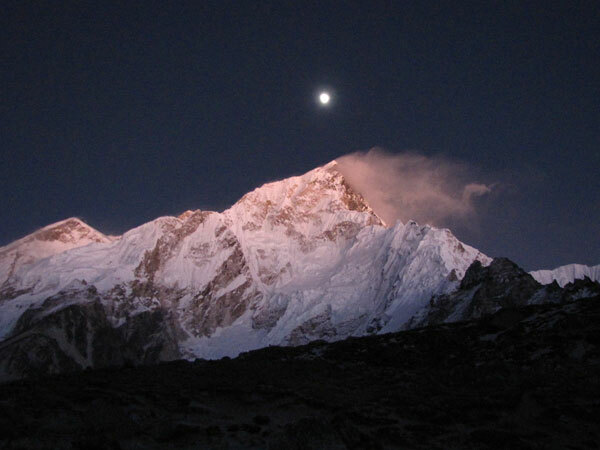 The Sherpas of Kathmandu and Helambu regions participate in dancing on this day. Generally, there are no such major festivals in this month. 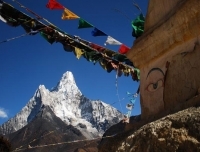 Being the rainy season, this month is the peak time for harvesting crops.This is a very special festival in the Khumbu area celebrated in the month of July every year. 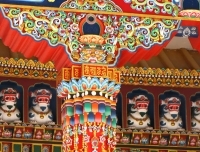 There is much dancing and merry making in addition to the more serious rituals and dances performed by the monks. The Dumji Festival celebrates and honors the anniversary of Guru Rinpoche birth on the lotus flower. 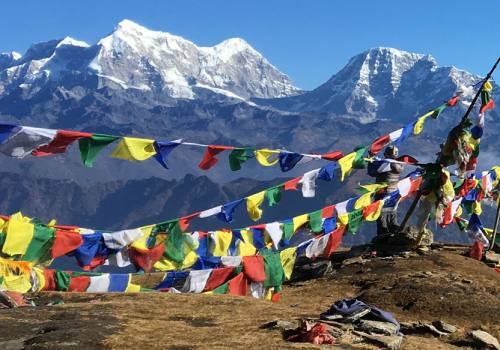 Lama Sangwa Dorji is the founder of the earliest monastery of Khumbu and he was the first to start the Dumji festival in Pangboche about 365 years ago in order to coincide with the birth anniversary of Guru Rinpoche. 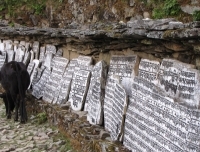 The festival serves as a religious and community duty to help bring the villagers together. Every 13 years it falls upon three families to provide food and drink for the entire village for the duration of celebrations, which lasts for 4 days. 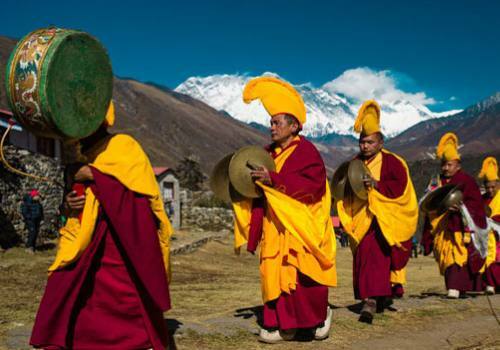 Dumji festival is performed by the Tengboche Monks in Tengboche, Namche Bazar, Khumjung and Pangboche of Khumbu, and Junbesi of Solu. 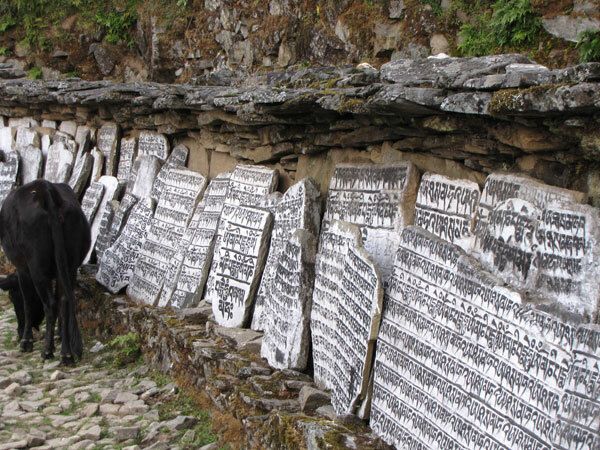 The festival in Namche is the most interesting and popular one amongst them all. 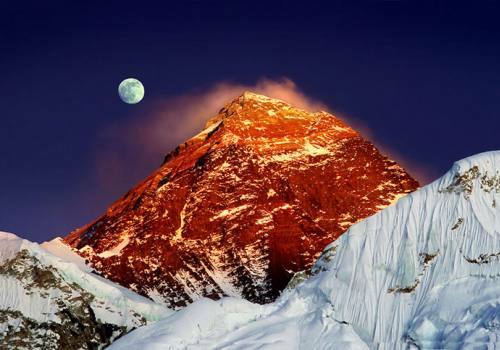 These dates may vary by one or more days as the Tengboche Rinpoche, abbot of Tengboche Monastery. We, Wilderness Excursion Pvt. 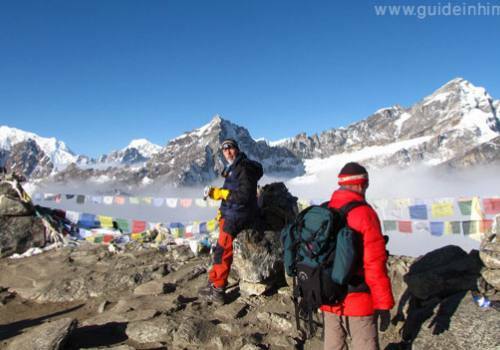 Ltd operates Sherpa Culture Tour and treks in highly competitive package cost and develops itinerary per your interest. 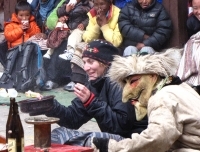 Dumji Festival is Celebrated by the Sherpa people in Namche Bazar, at Tengboche, at Thame and Chiwong Monastery of Khumbu. 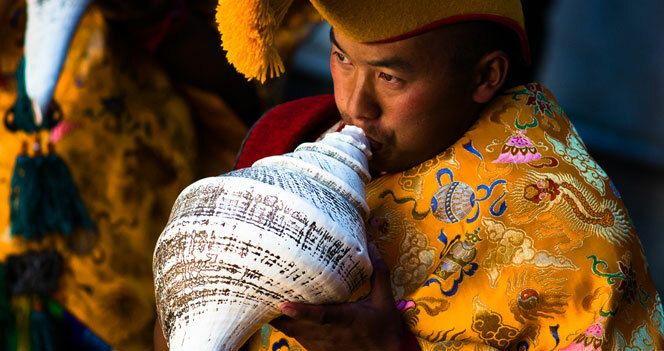 The festival celebrates the birth of Guru Rinpoche on a lotus flower. It is a colorful and impressive event, organized by one families from the villages in the region. Day 01:Drive to Salleri from Kathmandu. We start to drive from Kathmandu to Salleri in a local Jeep, it is about 10 hours drive. We can book flights or private car / jeep for comfortable keen travelers. If taking ground transfer; we can view the panoramas of Riverside, jungle, wonderful landscape and the scattered villages during the ride. We cross the bridge at Sunkoshi River and continue through Okhaldhunga. 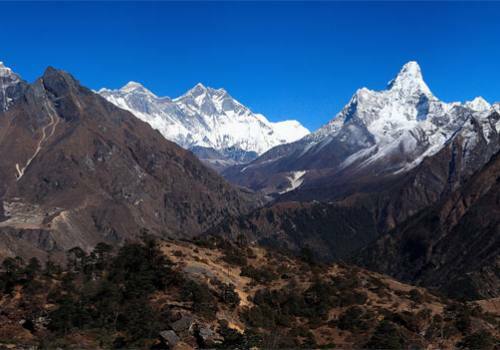 On the way, we can see the incredible peaks as Dudhkunda (Numpur Himal), Everest and others.Then it is a continual drive up and up, which takes us to the district of Solukhumbu-Salleri. Overnight at Lodge. Trek to Junbesi from Salleri via Ringmo. We spent the first night in the town of Junbesi, below. This part of Solu is lush and heavily forested, with huge pine woods (left), deep ravines, and high ridges; the "real" mountains are much further north, but the Solu ridges are quite impressive. 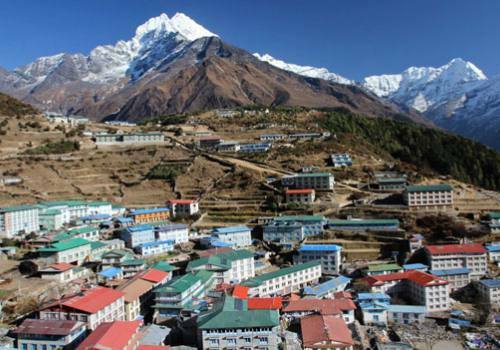 The path from Phaplu to Junbesi is not used much by trekkers, since there's a more direct route from Phaplu towards Lukla, but efficiency is not our goal. Overnight in Junbesi. 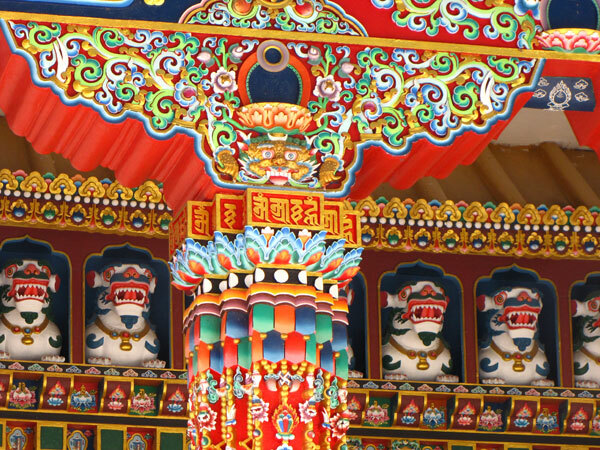 Day 03:Attend the festival in Thupten Chholing Monastery. Day 04:Attend the festival in Thupten Chholing Monastery. Day 05:Attend the festival in Thupten Chholing Monastery. 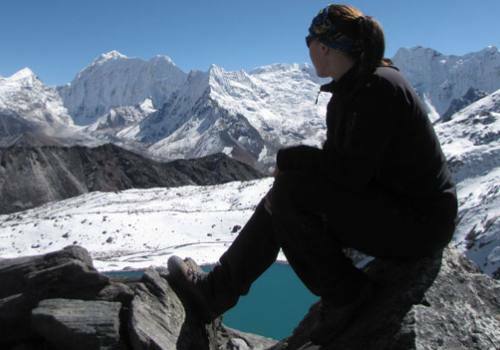 A registered and experienced English speaking local trekking guide. Assistant guide if the number of pax is above 6 people. Kathmandu - Salleri - Kathmandu by local sharing jeep. 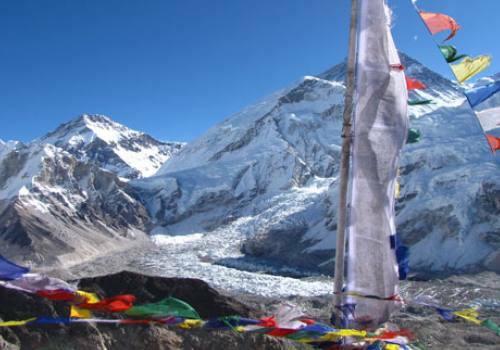 Sagarmatha National Park Entrance Permit to trek and TIMS Card. Transfers, accommodation and meals in Kathmandu. Guided sightseeing and monuments entrance fees in Kathmandu. Hot shower, hot water, internet and personal nature expenses. Personal travel insurance, internet, phone calls and wifi services. Rescue operation charge in case of emergency (we arrange rescue on request). Gratitude and tips for guide and porter.